More than 2,000 wildfires, all started by a single lightning storm, blazed across the state of California in June 2008. With resources stretched thin, firefighters advised residents at Tassajara to evacuate early. Most did. A small crew stayed behind, preparing to protect the monastery when the fire arrived. But nothing could have prepared them for what came next. A treacherous shift in weather conditions prompted a final order to evacuate everyone, including all firefighters. As they caravanned up the road, five senior monks made the risky decision to turn back. Relying on their Zen training, they were able to remain in the moment and do the seemingly impossible - to greet the fire not as an enemy to defeat, but as a friend to guide. 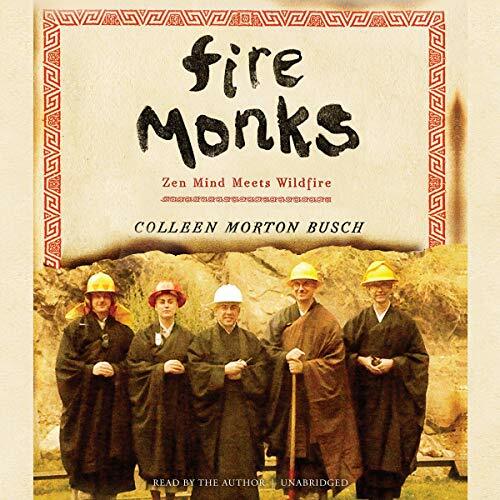 ©2011 Colleen Morton Busch (P)2019 Blackstone Audio, Inc.